It’s hard to keep track of all the great things to eat in the Twin Cities when new, tasty places are continuously added to the roster. There’s also something to be said for the cities’ great hidden gems, and I recently got the scoop from native and celebrity chef Andrew Zimmern. The Bizarre Foods and Bizarre World host dished about his favorite under-the-radar spots -- which are a lot less bizarre, and a lot more delicious. 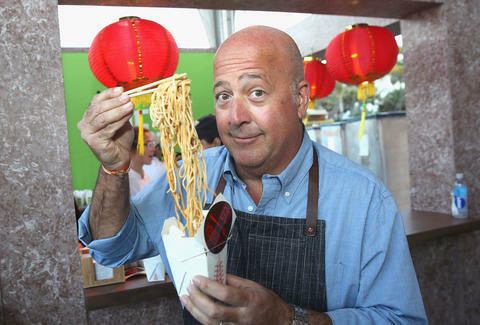 “I think the biggest problem with Chinese restaurants all across the country is that they have like 400-item menus, and they’re really only good at 20 or 30 dishes,” said Zimmern. 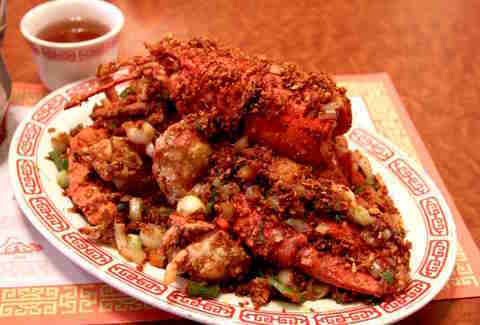 He suggests checking out the whole Dungeness crab or whole lobster, the whole steamed walleye, or the roast duck chow fun. “I think they have the best true ma po tofu in town,” Zimmern said of this Chinese spot on the edge of Uptown. He also gave a nod to the kung pao chicken as a must-try. On’s has long been a great spot for Thai food for those in the know, and it’s definitely the kind of place where you're missing out on something special if you haven’t been. Any and all of the noodle soups are excellent, and the deep-fried tilapia is also outstanding. 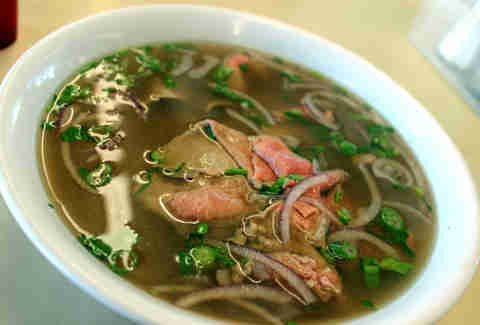 This little Thai restaurant made our best pho list, and with good reason. Zimmern also said it is one of his favorite Thai spots in the Twin Cities. 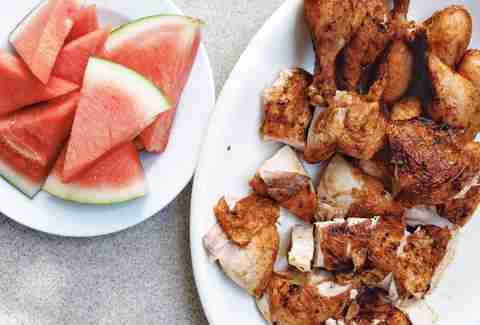 He suggested any of Bangkok’s curries, or the larb, which is a sort of Thai-style meat salad. Another one of our favorite pho spots, Pho Tau Bay can be easily forgotten because of its location on the absolute end of Eat Street (which also happens to be a dead end). 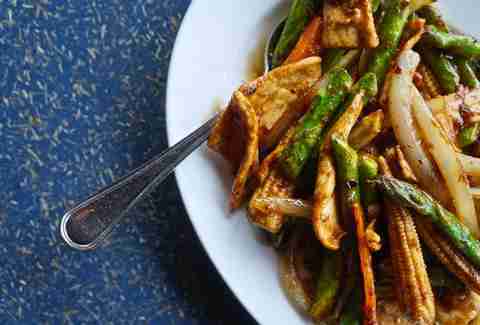 In addition to the pho, Zimmern recommends checking out one of its awesome stir-fry dishes. 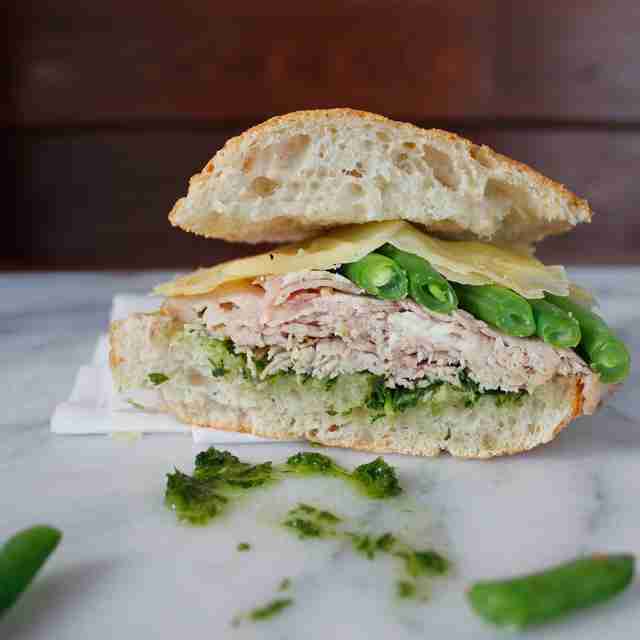 A good sandwich is a thing of beauty -- and its sister sandwich shop, France 44, made our best sandwiches in the city list -- so you know this place has got to be good. According to Zimmern, “If this place were in another city, there’d be a line out the door for sandwiches” -- and he’s probably very right. This is another one of our favorite spots, and quite possibly the best Korean food in the Twin Cities -- and Zimmern agrees. There’s nothing on the menu that isn’t delicious. The tteokbokki (stir-fried rice cakes) are just as crazy-good as the pancake-like pajeon, the bibimbap, and the grilled short ribs. If you haven’t been yet, it’s located inside a Korean grocery store, and is 1,000% worth the trip. The cabbage rolls are also arguably are one of the best things you can get in the Twin Cities. When it comes to Cambodian cuisine in the Twin Cities, Zimmern is assured that this is the spot. 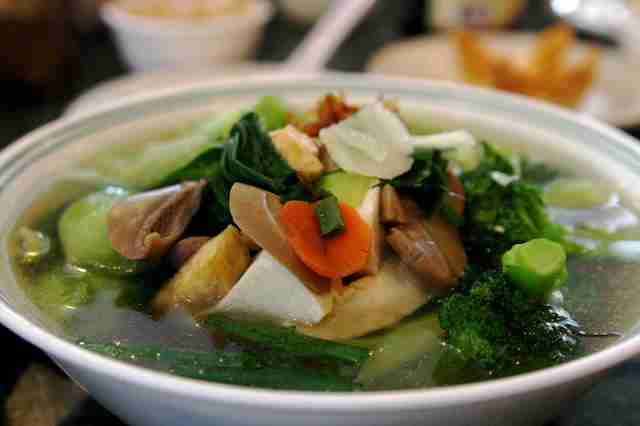 It’s all about the noodle soups, which “are much different from the soup bowls and hot pots at other Asian restaurants.” You’ll have to taste ‘em for yourself to find out why. Trieu Chau is another great Vietnamese restaurant with a crazy-delicious bowl of pho that made our best-of list (and its egg rolls are pretty solid, too). Once you’ve had those, be sure to check out some of the other soups, stir-fry dishes, and buns, all of which have been nothing shy of stellar. We just recently added this to our best new restaurants in the city list, and according to Zimmern, it is indeed a spot that you should consider hitting. Check out the Machete, a fried taco that’s over a foot long and filled with all kinds of delicious. 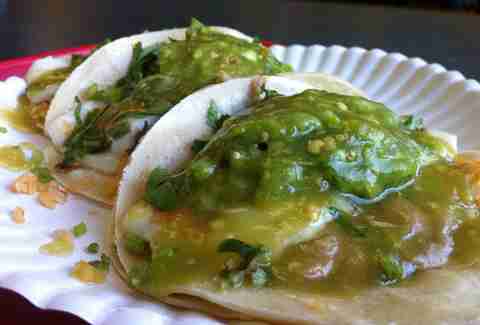 Of course, the other more classic tacos are pretty great, too. More tacos! It’s always great finding a new place to grab a set of one of our favorite foods, and if you haven’t hit up Pineda yet, maybe now’s the time. According to Zimmern, the chicken and chipotle tacos are where it’s at. 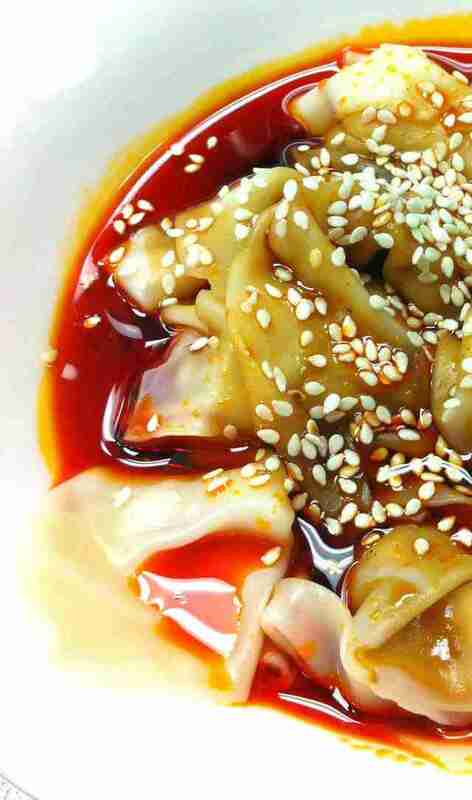 If you’re looking for delicious dim sum, Zimmern suggests hitting up this little strip mall out in Bloomington that, on the weekends, features a variety of delectable dumplings and small bites. During the rest of the week, the menu features a ton of classic entrees. Keane Amdahl is a veteran Twin Cities food writer always on the hunt for anything delicious. Follow his adventures on Twitter @FoodStoned.